Welcome to the latest instalment of In gear – a newsletter designed to keep you informed about forthcoming changes as we modernise the taxi and private hire licensing services delivered to you. In order to improve the service we give our customers, Transport for London is moving away from higher rate 084 and 087 contact numbers across the whole organisation. The existing numbers will also remain open for a short period of time to allow customers to transition to using the new numbers. Our new vehicle licensing service went live in February and so far we have undertaken 10,900 taxi and 22,654 Private Hire Vehicle inspections. The overall feedback from customers is positive and now that the new service has settled into a steady state, we will be looking to undertake a customer satisfaction survey in the near future. The survey will be carried out at each of the six inspection centres over the course of a week. If you are asked to take part then please do take the time to answer all the questions as your feedback is important to us. You can book a vehicle inspection by calling 0343 222 5555. We will also soon be launching our new online service and once this is live you will be able to book your vehicle inspection online. Keep an eye out for more information about this in the coming weeks. Over the past three years we have been working hard to deliver a more efficient and modern licensing service to you and today we take another large step in this programme of work as we launch our new licensing system for drivers and operators. Whilst our old licensing systems were heavily paper based and disparate, the new system called TOLA provides an end to end licensing system for TPH staff. While you may not realise the benefits immediately, once we have bedded in the new system and new ways of working it will speed up the licensing process and make the whole process much more transparent. In the near future you will also be able to apply and renew online as well as track the progress of your application. We have no doubt that it will take time for the new system to settle in and we appreciate your patience during this transition. To enable us to migrate data to the new system from our old systems, and to allow for final staff refresher training sessions our Customer Support lines will be unavailable for the remainder of today – Monday 30 September. We are sorry if this causes any inconvenience. However, any enquiries can be directed to TPH.Enquiries@tfl.gov.uk and from Tuesday 1 October 2013 you can contact our Customer Support team on 0343 222 4444. Please do be patient with our staff as while they have undergone extensive training, nothing can replace using the system in a live environment. This does mean we anticipate an increase in call answering and handling times for the next few weeks. Please rest assured that if you are one of the drivers impacted by recent changes to the Disclosure and Barring Service (DBS) and are currently unable to work, we are regularly checking every day for the results of new disclosures. Any results received for renewal applicants whose licences have expired, or are close to expiring, are treated as a high priority case. We aim to make decision on these high priority applications within 24 hours of receiving the results of the disclosure. Our new licensing system brings a range of improvements to the way we work. As well as helping us move away from paper based files which can taker longer to process than the new electronic applications, the system will also improve our operational capabilities. We will be issuing compliance officers with handheld devices. These will enable the compliance team to undertake on-street licensing checks on drivers, operators or vehicles in real time. Handhelds will be capable of scanning barcodes printed on the new licences, which will instantly bring up the licence holder’s details. Handhelds will also allow the printing of notices on street, enabling the compliance team to spend less time in the office completing paperwork and more time conducting enforcement activities. Additionally, as the new system will allow operators to upload details of drivers and vehicles online in the future, part of the compliance inspection will be able to be completed remotely. 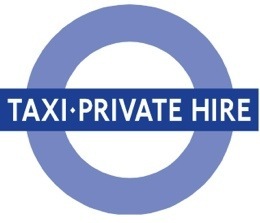 Transport for London will commence issuing replacement taxi driver licences and identifiers to all licensed London taxi drivers from October 2013. The new licences and identifiers will be of a similar design to existing ones but will contain a number of new security features, including a hologram and a barcode unique to the driver. In addition, following feedback from the trade, the new suburban identifiers have a larger space to show the areas in which a driver is licensed to ply for hire. Drivers should display their replacement identifiers and carry the copy of their replacement licence as soon as they receive them. Drivers renting taxis should give the original licence to the owner of the taxi and ask for the return of the existing licence. Accompanying the new documents will be instructions advising how to return existing documents to TfL. We will shortly be issuing a TPH notice containing further information about the new licences and identifiers. As part of our new vehicle licensing service and modernisation programme, we will shortly be introducing new functionality for licensees. Once live, this system will enable all licensees to manage their licences and applications through a new online account, allowing us to move away from our current paper based file system. Later on this year you will receive a letter from us providing details of your individual account and a password. Once you have received this letter you will be able to use this information to access your new online account through our website. Keep an eye out for the letter in the coming months. As we have records for a number of licences with the same address, or more than one business name linked to an address, you may receive more than one set of account details. Don’t worry if this happens – we will include instructions about how to contact us to get these accounts merged. We really believe the move to a new licensing system and the imminent introduction of online accounts will revolutionise the way we work and the service we offer, making our licensing process more efficient and effective for you. Local Government Secretary Eric Pickles says CCTV should be used for catching criminals and not as “a great casino for local authorities to get some more money”. Local Government Secretary Eric Pickles was commenting on plans by the Government to ban councils from using CCTV cameras and “spy cars” to impose parking fines on motorists. The Local Government Association denied claims that parking enforcement was just a way to make money. Councillor Tony Ball, vice-chairman of its economy and transport board, said: “Parking controls are not about revenue raising, they are absolutely essential for keeping the roads clear and making sure people can park near their homes and local shops. A Government consultation paper will suggest amending legislation underpinning the Traffic Management Act 2004 to outlaw the practice. 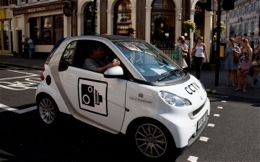 The Department for Transport says CCTV should be used only when it is impractical to use traffic wardens. These unlicensed hacks will drive anything to make a few bucks. The city seized a record 1,000 illegal cabs last month — including jalopies with busted windshields, broken doors and thick layers of rust, The Post has learned. One seized junker — a 2002 Lincoln — had a broken front door that was held closed by wrapping the driver’s seat belt through an open window and tying it off. Another heap — a 1999 Ford Crown Victoria — sported a broken windshield, while another — a massively rusted 1998 Mercury Grand Marquis registered in Texas — didn’t have hub caps or a license plate and was missing bolts in all four wheels. The August record beat the Taxi & Limousine Commission’s previous high of 849 in January of this year and the next, 719 in January 1998. Not all of the confiscated cars were clunkers. 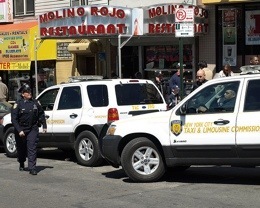 The TLC recently seized a Cadillac Escalade, as well as a repainted New Jersey police car a driver was using as a cab. Some phony cabbies are even shelling out for daily rental cars and putting the wheels to work — leaving rental companies holding the bag if cars are towed. Since a car can be released only to its official owner, businesses like Hertz and Enterprise have to pay impound fees in order to pick up the cars from the TLC lot, according to Williamsburg-based Knights Towing. The TLC credits its record number of illegal-cab seizures to a March contract signed with Knights Towing which now picks up seized cars from a TLC staging area and impounds them for the agency. This allows TLC officers, known as the Proudest, to focus on enforcement instead of towing and impounding. Before the deal with Knights, inspectors took seized cars to a Queens lot donated to the TLC in 2012 by a civic philanthropist — or else had to hunt for scarce space at an NYPD tow pound. “We’re determined to crack down on the illegal-taxi business,” said TLC Commissioner David Yassky. The TLC added 125 officers to the force last year. “It’s an important part of our mission to protect the public from potentially unsafe cars,” Yassky added. Unlike real cabbies, illegal hacks don’t undergo drug testing or criminal-background checks, nor do they purchase for-hire insurance. And TLC-licensed livery cabs are also inspected every four months. Drivers with illegal cars face steep fines from the TLC, in addition to towing fees. A first-time offense runs $600 plus $185 in tow fees, with a second offense costing $800. If drivers are caught three times or more, the fine increases to $1,000 if they plead guilty — and can go up to $1,500 if they are found guilty following a hearing. Knights Towing says the enforcement is effective and it’s seeing fewer repeat offenders. “As the illegal drivers come to understand that the TLC enforcement is real and has teeth, you’ll see the number of illegal drivers drop even further,” Yassky said. Transport for London (TfL) is advising road users, including bus passengers, to check if their journeys this week will be affected by the road closures in place for the World Triathlon Grand Final and to plan ahead. Thousands of triathletes, including Olympic medal winners Alistair and Jonathan Brownlee, will compete on the same course used last summer in the London 2012 Olympic Games, with closed roads in and around Hyde Park, Westminster and the City of London. From Wednesday 11 to Friday 13 September the triathlon will be limited to Hyde Park. On Saturday 14 September a number of major roads in central London, including Hyde Park Corner, Park Lane and roads around St James Park and Buckingham Palace will be closed in the morning. The same roads will be closed for most of the day on Sunday 15 September, while a number of additional roads – including Whitehall, Southwark Bridge, Victoria Embankment, Lower and Upper Thames Street – will be closed until the early afternoon. · The Mall, Horse Guards Road, Marlborough Road. A number of Barclays Cycle Hire docking stations on the route will be suspended. Additionally due to an upgrade of the operating system the scheme will be unavailable to unregistered users as new upgrades are implemented over the weekend. Public transport, walking and cycling will be the best ways to get around the area. If driving is your only option, please allow more time for your journey or travel at a different time if possible. Buses in the area will be on diversion or will finish earlier than usual due to the road closures. Leon Daniels, Transport for London’s Managing Director of Surface Transport said: “After last year’s amazing Games, London continues to show the world we are the go-to destination to host major international sporting events. The last day of the Tour of Britain will also take place on full closed roads in Westminster and the City of London next Sunday, 22 September. Road users are again asked to avoid driving near the route and advised to plan ahead and use public transport to make the most of everything going on in central London that weekend. For travel advice visit http://www.tfl.gov.uk/tourofbritain . Deloitte have recently undertaken a review of LTPH after Leon Daniels requested it. They have put forward proposals that will have major implications on how our trade is run in TFL. They also negotiated the deal for the Caryle Group to buy Addison Lee, of which Deloitte is one of Addison Lee biggest accounts. Are Deloitte having to much of a say in our trade when the have vested interests with the PH trade. Accountancy firm Deloitte has been fined a record £14m by an industry tribunal as a result of advice it gave investors involved in collapsed British carmaker MG Rover. The Financial Reporting Council (FRC) said Deloitte had failed to spot conflicts of interest when it acted as adviser to MG Rover directors. Four directors bought out the company in 2000 for a token sum of £10. But the carmaker went under in 2005 with £1.4bn in debts. In July, the tribunal found that 13 allegations brought against Deloitte by the FRC were proven. 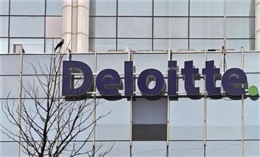 Deloitte showed a “persistent and deliberate disregard” of accountancy ethics, the ruling said. The £14m fine is below the £15-20m requested by the FRC, but it dwarfs the previous fine handed out to an accountancy firm – £1.4m for PriceWaterhouseCoopers in 2012. Former Deloitte partner Maghsoud Einollahi was also fined £250,000 and banned from accounting for three years. Deloitte, which was also severely reprimanded as part of the judgement, continues to disagree with the main conclusions of the tribunal. An independent report found that the directors advised by Deloitte, known as the “Phoenix Four”, received more than £40m from MG Rover before its collapse, which led to 6,000 job losses.